Sinister thoughts, deepening resentment and manipulative mind games are temporary – but Murder is Forever, an all-new dramatic series created in partnership with bestselling author James Patterson and the Emmy-winning producers at Stephen David Entertainment. 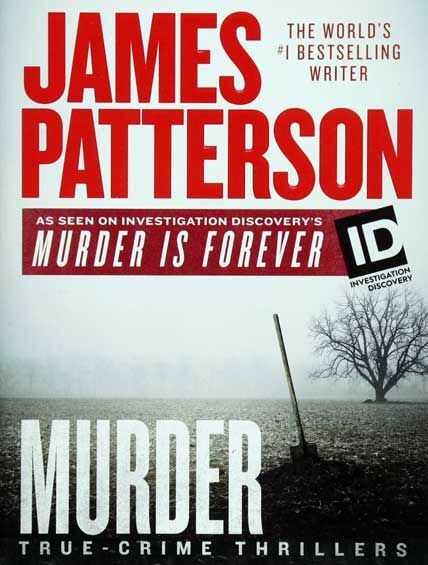 Murder is Forever – Patterson’s first foray into true-crime television, based upon the authentic stories featured in his upcoming paperback books. Each hour-long episode of Murder is Forever presents a unique murder mystery that keeps viewers guessing until the very end – but perhaps the most shocking thing of all, is that these stunning crimes are 100% real. Each self-contained story will live both on-screen and within the pages of Patterson’s true crime paperback titles, which correspond to each episode, will be published beginning January 2, 2018 and available everywhere books are sold. Frank and Nancy Howard, a devoted, church-going couple who were pillars of their Carrollton, Texas community. But in the summer of 2009, a hit man showed up at their door, forever changing their lives and a massive plot more than two years and three million dollars in the making is revealed. Gypsy Blanchard was chronically sick, suffering through illnesses including leukemia, but she remained positive thanks to her mother and best friend DeeDee. When one of them is found dead, a community is left in shock as police try to find answers. Leo Fisher and Sue Duncan were a happily married couple living in McLean, Virginia. But one quiet November evening, while they’re preparing dinner, the doorbell rings – and their world changes forever. A veteran Detective with Omaha Police Department, responds to a horrific double homicide involving an 11-year-old boy and the family’s housekeeper. Another murder takes place on the other side of town. Are the two crimes connected?As police work to find answers, the killer targets his next victims. Nearly 30 years ago, The small town of Kankakee, Illinois was rocked by a kidnapping and ransom scheme that targeted one of its most beloved citizens – shocking the town, and the nation. In 1990, a woman is fatally shot inside her cabin in Sierra Mountains of California. As police begin to unravel the mystery, the unsettling truth about the killer comes to light. Thanks a bunch Max. More series from ID channel please!! !